Time was working against Dianne Benson. It was Dec. 26, 2016, and the town of Warren resident had just collapsed from cardiac arrest. She would learn later that irreversible brain damage can occur after about five minutes of cardiac arrest. Fortunately for Benson, she wasn’t alone. 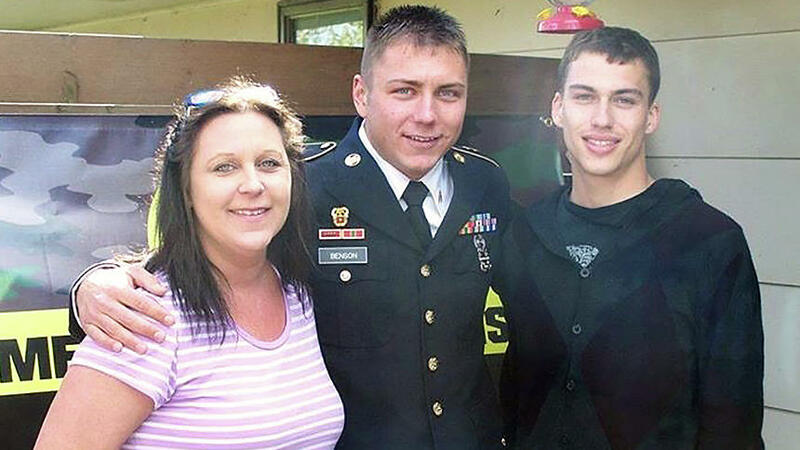 Her son Richard Benson, an army serviceman, immediately began CPR. Meanwhile, her other son, Lucas Benson, called 911. Minutes later, St. Croix County sheriff’s deputies, followed by an EMS crew, arrived. Jeff Kennett, a sergeant with the sheriff’s office who’s also an advanced emergency medical technician, found her without a heartbeat. While EMS crews placed a mechanical CPR device on Dianne’s chest, Kennett deployed two shocks from a portable automated external defibrillator. “Hey, she actually has a pulse,” Kennett said, recalling the incident. Fast-forward more than three months later. Dianne, after being rushed to Regions Hospital in St. Paul and having two stents placed in her heart, has made a full recovery. She got word from her doctor Friday, March 31. She knows how lucky she is. Kennett, who along with deputy Derek Wells, received the department’s Lifesaving Award last month for their work during the incident, said Dianne’s survival was the result of many fortunate circumstances. That someone was able to perform CPR while officers riding with a portable AED were just 4 miles away was all to her benefit, he said. “I really believe things lined up well for her that day,” he said. Kennett commended Richard Benson for his efforts before officers arrived to complete the team effort. Wells, a new deputy who was being trained by Kennett at the time, did what his sergeant said were important tasks while the more experienced officials took charge of the scene. St. Croix County Chief Deputy Scott Knudson called the incident a positive outcome in a category of calls that often brings worse outcomes. The incident proved a win for the addition of AEDs, which had been added to every St. Croix County Sheriff’s Office squad about three months earlier. He knows that not every call of that sort ends up as successful. A 20-year law enforcement veteran, Kennett has responded to more cardiac calls than he can remember and figures he’s been part of about less than a dozen “saves,” as they’re known in the field. Sometimes they’re full recoveries, sometimes they’re saved just long enough for loved ones to say their goodbyes. “There’s nothing better than being able to give someone an opportunity to continue their life longer,” he said. Dianne said she’s forever thankful to the deputies — along with her son and the EMS crew — for their lifesaving efforts on the day after Christmas.